You see her work during every driving lesson you carry out. It's so iconic it's been copied around the world. 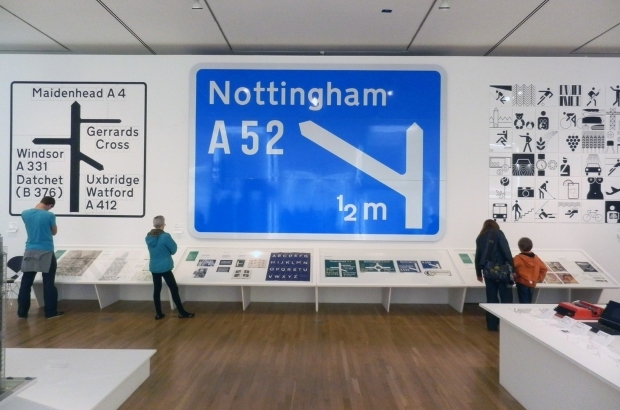 And now, Margaret Calvert, one of the designers of the UK's road signage system, has received an OBE for services to typography and road safety. Margaret's work is seen by millions of people worldwide every day. It has no doubt helped to save hundreds of lives over the last 50 or so years. She was nominated in the Queen’s Birthday honours list in June 2016. She was presented with her OBE medal by the Prince of Wales on 18 November 2016. We're delighted that Margaret's work has been recognised in this way. In 1957, the government's Anderson committee was formed to review the signing needed for British motorways. They appointed Jock Kinneir to design them. Jock brought in Margaret to help him with the project. Before this, road signs were commissioned by several different bodies. They all used different symbols, colours and fonts with wordy captions and cryptic pictures. But the speed vehicles could now travel at meant these signs were illegible and unsafe. The work Jock and Margaret did created a coherent, safe, signage system, using coordinated colours, shapes and symbols. They also created 2 new typefaces called ‘Transport’ and ‘Motorway’. These both used a combination of upper and lowercase lettering, as they found these were the most legible. They spent years testing for legibility in all sorts of extreme conditions; in the rain, at night, at speed. They're still the only fonts allowed on UK road signs. After the success of the motorway signage system, the government formed the Worboys committee to review signage on all other roads. Jock and Margaret were once again brought on board as the designers. The new signs conformed to the 1949 Geneva Protocol of using triangular signs to warn drivers, circles to issue commands, and rectangles to relay information. Margaret drew most of the pictograms, with many based on her own life. The well known ‘children crossing’ sign is based on a picture of herself as a child. 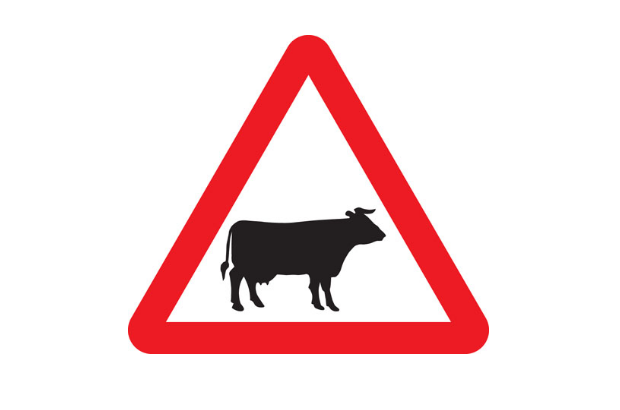 The cattle warning sign is based on a cow called 'Patience', which lived on her cousin's Warwickshire farm. The entire system was launched in January 1965. Margaret's work has stood the test of time. In 2012, the GOV.UK website started to use a digital variation of the 'Transport' font, called 'New Transport'. Margaret worked on this with designer Henrik Kubel. It is really exciting to see New Transport used for the first time, online, for the government's website... Almost as exciting as driving down the M1 for the first time. So thank you, Margaret, on behalf of everyone who has benefited from your work, and congratulations from us. Remember, you can nominate someone for an honour if they've made life better for other people or are outstanding at what they do. is New Transport the font that this blog itself uses? Hi Jim - it is indeed! Such a shame that it's taken so long for Margaret's work to be recognised, given the impact it's had! But it's good that it *has* been recognised. The font used is called 'Transport' there's some more info on it here - https://en.wikipedia.org/wiki/Transport_(typeface). As a designer with a huge interest in typography, this kind of display really gets me excited. Just like the book that was released displaying the fonts from the old underground subways in america, it would be good to have a reference manual for these.